Singapore formally assumed the role of ASEAN chair from the Philippines on 1 January 2018. Considering the frequent use of the phrase ‘resilience and innovation’, the overarching sentiment suggests that Singapore seeks to promote a unified ASEAN, upholding the regional order to better deal with internal instability and emerging security challenges, while tapping new ways to manage and exploit digital technologies and forging ahead with regional economic integration. To begin with, along with priorities that will be continued from the previous chairmanship to the current one, Singapore also has a set of new economic priorities for its term. These mainly concern the streamlining of trading processes which will allow transactions to take place at a faster rate. Combining ideas such as the ASEAN ‘Single Window’ and e-commerce, the city-state aspires to speed up processes to enable quicker trade thereby creating more benefits for member states. The former is a digital platform that is intended to increase the efficiency of trade by cleaning and releasing shipments faster. As for e-commerce, Singapore aims to encourage ASEAN countries to streamline their trade rules governing commercial transactions that involve the transfer of information across the Internet. The country will also seek progress on the ASEAN-wide self-certification regime, a scheme intended to enable authorised exporters to self-certify that their goods fulfill ASEAN requirements for receiving preferential treatment. 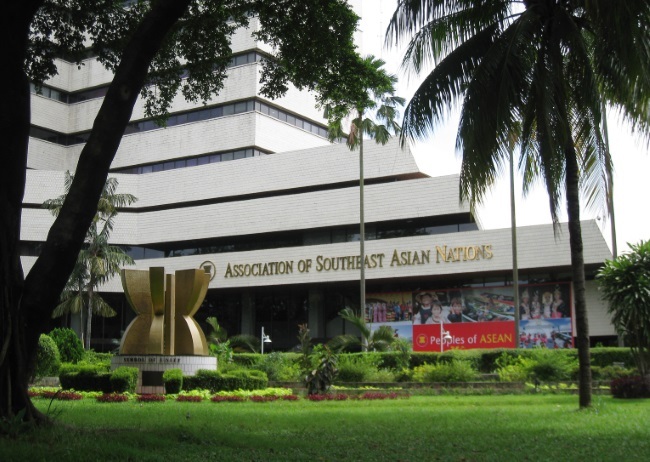 In setting out Singapore’s priorities for the chairmanship at the ISEAS-Yusof Ishak Institute on 5 December last year, Foreign Minister Balakrishnan also painted a vision of a single digital market across ASEAN. This would, among others, involve “norms that will guard cyber security and yet enable cross-border transactions at very much lower transaction rates”. Among the benefits to be drawn from this scheme is the possibility for ASEAN’s many migrant workers to remit their salaries at more affordable rates. Lastly, Singapore is also taking energy security seriously and is working to cultivate a conducive regulatory environment and promote co-operation. It will also aim to boost the region’s capabilities in energy efficiency and renewable energy. As ASEAN Chair, the country will also look to increase ASEAN’s trade with non-member states. To that effect, it will step up efforts to achieve a high quality Regional Comprehensive Economic Partnership, a trade pact involving all ten ASEAN member states and six countries which ASEAN has free trade agreements with: China, India, Australia, New Zealand, South Korea and Japan. Along with economic initiatives, Singapore has also shown remarkable interest in making progress on certain key security issues, including counter-terrorism and radicalisation amongst ASEAN states. As the crisis in Marawi indicated the potential of the Islamic State to set its footprint in Southeast Asia, ASEAN member states are increasingly concerned with the threat of terrorism in the region. Through its chairmanship of the ASEAN Defence Ministers’ Meeting, the city-state is focusing on 3 objectives. First, the country is calling for increased regional collaboration on counter-terrorism, as the joint maritime and air patrols of terrorist-plagued waters off the Sulu archipelago by Indonesia, Malaysia, and the Philippines. In the course of the year, Singapore will also seek to organise a cross-sectoral conference to address the issue, focusing on rehabilitation, counter-radicalization and counter-propaganda. Singapore is also looking to consolidate the ‘Our Eyes’ intelligence-sharing initiative officially launched on 25 January this year by six Southeast Asian states (Indonesia, Malaysia, Philippines, Singapore, Brunei and Tahiland). The OEI has been pitched as an information-sharing platform for member countries intended to facilitate the exchange of intelligence on terrorism, radicalism, and violent extremism. Second, in view of instability in the Korean peninsula, Singapore will also encourage information sharing in terms of how individual countries can deal with chemical, biological and radiological (CBR) attacks, Efforts will also be made towards the creation of an ASEAN network of CBR experts. Finally, the design and implementation of capacity building measures in the aviation and maritime domains will also be on the agenda. Brokering talks on a Code of Conduct in the South China Sea is also a major continuing priority for Singapore. At the ASEAN Summit in November 2017, negotiations between ASEAN and China on the fine print of the Code of Conduct were formally announced with a view to deescalating conflict in the area and ensuring the security of all parties involved. In addition, making progress on the Code of Conduct will also be paramount for Singapore given ASEAN’s inclination to maintain friendly relations with China in the wider economic context as well as the vitality of the South China Sea for trade purposes. In addition, cyber-security will also feature on the agenda since Singapore hopes to expand the economic influence of ASEAN through widespread digitisation. As increased digitisation of processes such as trade transactions seek to create greater efficiency, this leaves ASEAN states at greater risk to cyber-threats which could derail aims for ASEAN economic growth and prosperity. Lastly, in an effort to reinforce the rule of law in the region, Singapore may also push for a Model ASEAN Extradition Treaty, a potential precursor to a legally-binding extradition treaty. Beyond the oft-repeated catch phrase of ‘resilience and innovation’ there lies therefore an agenda with a diverse set of concrete objectives. The extent to which the one-year presidency will prove to be sufficient for the city-state to realise these objectives through an integration process that is notorious for its consensus-based approach to decision–making remains to be seen. However, what matters after all is that substantial progress be made on the above issues during Singapore’s term to prepare the ground for the next chair, Thailand. And knowing Singapore’s influence within ASEAN, its diplomatic clout and proven track-record of skilfully fixing pragmatic rather than grandiose objectives, it would hardly be surprising if 2018 turned out to be one of great progress for the 10-country bloc. And finally, what role is there for the EU to help the Singapore presidency implement this agenda? In principle, the potential for co-operation, including through the sharing of best practices, is glaring. The EU has by now amassed substantial experience in promoting cyber resilience, including through the – reviewed – 2013 cybersecurity strategy. The cybersecurity package adopted by the Commission in September 2017 is expected to further improve to EU’s wherewithal to face challenges in the cyber domain. As a counter-propaganda effort, strategic communication task forces (for the ‘East’ and the ‘South’) have been put in place to address the increasingly prominent issue of destabilising messages emitted by Russia and Daesh towards the EU. The Hybrid Fusion Cell created within the EU Intelligence and Situation Centre, which offers a single focus for the analysis of external aspects of hybrid threats, may also generate interest in ASEAN. The same goes for the Helsinki-based Centre of Excellence for countering hybrid threats which could serve as a source of best practices for ASEAN. With the 10-country bloc striving towards digitization, there seems to be room for co-operation on the economic front too, including on the basis of the EU’s Digital Single Market Strategy. Singapore, that has thus far tended to focus its co-operation with the EU on economic and trade aspects, has recently started showing interest in developing the security dimension of the relationship. And its chairmanship is an excellent opportunity to transpose this interest to the ASEAN level and thus share the benefits of deepening security ties with the EU with the other nine member states. Balazs Ujvari is an Associate Fellow at Egmont – The Royal Institute for International Relations.